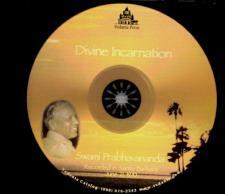 Explanation of the concept of a Divine Incarnation, or the Divine taking human form. I make myself a body." Krishna speaking as a divine incarnation.